We focus on criminal law and domestic violence restraining orders. 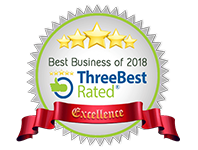 Our Firm brings 35+ years of combined legal experience to you. We believe everyone deserves equal treatment under the law. 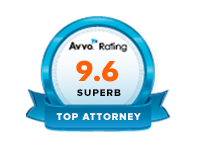 Our clients deserve special treatment and attention from their attorney. We have defended thousands of clients in both Maryland and North Carolina with charges ranging from misdemeanors to more serious complex felonies. 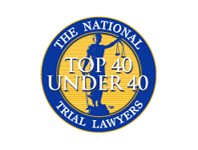 Scharff Law Firm was named 2013 and 2014 Avvo Clients’ Choice Award and Top 40 under 40. Learning you or a loved one is being investigated or charged with a criminal offense can be devastating. Our government promise of “innocent until proven guilty” may seem empty. When you are facing criminal allegations, you’ll need compassionate and unyielding legal representation to protect your rights and ensure you have the best possible experience while dealing with the legal system. The criminal defense attorneys at Scharff Law Firm proudly serve Raleigh, North Carolina, and the surrounding areas. Everyone deserves justice. When you are facing charges of a criminal nature, you deserve to have advocates who will fight tirelessly to ensure fair treatment and that your case is thoroughly evaluated. We’re ready to help you through this difficult time. 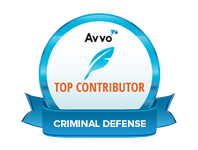 Our firm is comprised of three attorneys who have over 20 years of experience in criminal law. The firm’s founder, Jesse Scharff, trained in Baltimore, Maryland, as a public defender, giving him the experience needed to counsel you through every legal defense scenario. Reba Scharff brings to the firm her experience as a prosecutor in Maryland. Her understanding of criminal prosecution allows her to be a thoughtful defense advisor, putting her firsthand knowledge to work to help people find justice. Amily Mccool is a former prosecutor and is focused on the protection of victims of domestic violence and victims who may be falsely accused of domestic violence. Whether you’re facing your first DWI or have been targeted in a complex domestic violence case, we have legal experience at both a state and federal level to help you face these allegations. We understand defendants often go through the same emotional experience as those who have brought charges against the defendant. Allow us to be your advocate and you’ll find we’re not the type of lawyers who will try to secure a lenient punishment. We work hard to protect your constitutional rights and fight for fairness on your behalf. When you contact Scharff Law Firm, you will receive personalized attention from a Raleigh criminal defense attorney. You will have direct access for counsel on your case when you need it most. Contacting our offices as soon as possible will allow us to begin working quickly to ensure you are prepared for any investigation, hearing, or other legal proceeding. Many times, our work at the beginning of a case successfully leads to reduced or dropped charges. we want you to know that there is a roadmap towards hope. Sworn to Protect Our Client's Liberty. Please call him now, I urge you to look no further! If you find yourself in a legal bind, I highly recommend you look no further than Jesse Scharff....His experience is admirable and proves true dedication, one every criminal defense lawyer should possess. My only regret is not finding him sooner! Hiring Jesse Scharff is like adding a lawyer to your family. He always kept in touch. He never missed an appointment. He built a personal relationship with my family and I. He also knew the details of the case inside and out, never missing a beat. I’m not one to exaggerate, but Jesse truly is my hero. Misdemeanors and felonies. From simple shoplifting misdemeanors to felony drug charges, you’ll want legal representation that fights for you with the same passion every time. No charge is too simple or too complex. Our firm has experience with many diverse misdemeanors and felonies in Raleigh and the Wake County area. 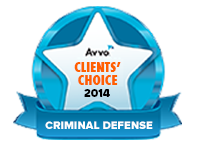 As your legal representation, our defense firm can help you fight the charges. If you’re facing a conviction, that may be when you need our assistance most. We want to make sure anyone convicted of a misdemeanor or felony only receives punishment that is fair. Every case is different, and our personalized approach allows us to cater our defense strategy to our clients. "Everyone deserves equal treatment under the law. 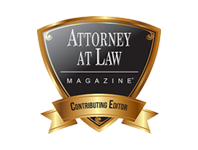 Our clients deserve special treatment and attention from their attorney." Federal charges. Some crimes may fall under state and federal jurisdiction. When you face charges at two different levels in the legal system, you need a defense attorney who understands the nuances between state and federal laws. Federal sentencing can often be more severe than sentencing at the state level. Scharff Law Firm has experience creating defense strategies for clients at both levels of jurisdiction. If you have questions about how our practice can help you, call us today for a free consultation. While we cannot make any guarantees during the consultation, we can provide you with a better understanding of what you face. Remember that timing is often a key factor when developing a defense strategy.